QuidNYC's "Hot Java" Ketofood (for Thermogenic Ketosis) Weight LossKetogenicTasty! This iteration of "Ketofood" is built around a new "Java" whey protein isolate from NutraBio (which incorporates caffeine, a modest amount of flavoring, and a custom vitamin blend). The caffeine, cayenne pepper, and MCT oil all provide an increased thermogenic effect. Unlike my previous recipes, this mix will not require a separate multivitamin pill -- but it does need ascorbic acid to round out the micros. March 7, 2014: While I'm sure it's not for everybody, I have added cayenne pepper to the latest iteration of this recipe for an increased thermogenic effect (it should work synergistically with the caffeine and MCT oil in that regard). 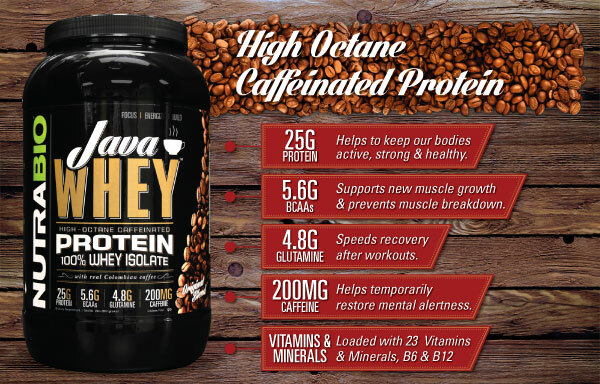 March 5, 2014: I have replaced some of the Java Whey powder with "plain" whey protein isolate, cutting down on the daily cost and reducing the caffeine dosage somewhat. Please note that I also had to switch from sea salt to iodized salt to replace some of the iodine. February 11, 2014: I have removed flaxseed from the recipe, due to concerns about the potential effects of lignans in flax on hormone levels. January 29, 2014: I finally received all of the ingredients and have tested out the mix, and I've got to say it's pretty damn good. Sort of like a smoothie that you'd actually imagine normal people enjoying. It's slightly sweet, but not overly so. Thick, but not too thick (very smooth consistency if you use a blender). Apart from the relatively light chocolate and coffee flavors, there's a hint of the fresh olive oil flavor, which I don't mind at all. It definitely doesn't seem oily (the difference between this and my "Induction" recipe is night and day). 346mg per day parcels out to ~115mg per 1/3 "meal" portion (in the ballpark of the amount contained in 1 cup or 8 fl oz of coffee). A 2010 Canadian study on the health effects of caffeine concluded that an amount up to 6 mg/kg body weight per day represents a "moderate daily caffeine intake [that] is not associated with adverse effects such as general toxicity, cardiovascular effects, effects on bone status and calcium balance (with consumption of adequate calcium), changes in adult behaviour, increased incidence of cancer and effects on male fertility." The recommended intake for reproductive age women is significantly lower. This "Ketofood" recipe is designed with somewhat more forgiving parameters intended for ongoing ketosis. It also tastes a whole lot better than my previous ketogenic recipes.